Caves and kids? Yes, my kids love caves and one is “literally dying” to take a wild cave tour when he’s old enough. 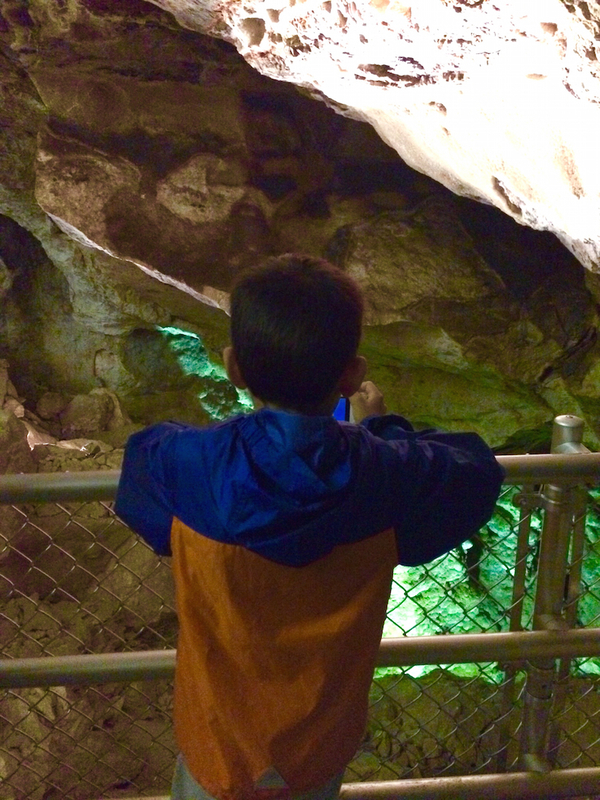 Cave tours offer kids a peak into an underground world where exploration and discovery happens daily. A large portion of the Wind Cave in South Dakota is still uncharted, like deep space or the deepest reaches of our oceans. To my son, a cave is an unlimited source of adventure as he plots his expedition to discover the next, new passage in an underground frontier. The Black Hills of South Dakota offers two caves within 31 miles of each other, centered around Custer, South Dakota. Cave tours are ideal for school-age kids who aren’t imitated by the dimly-lit pathways and the tight spaces. 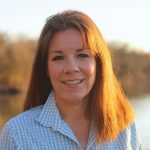 I found caves tours ranging from introductory tours for young families on their first underground excursion to half-day wild caving adventures for the fit and fearless. 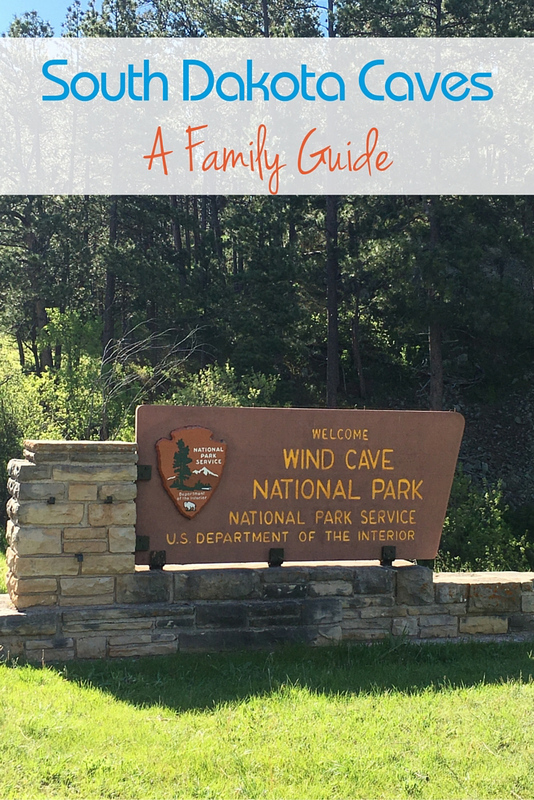 Wind Cave National Park, named after the barometric winds at the entrance of the cave that can predict the weather, is more than a park with a cave. 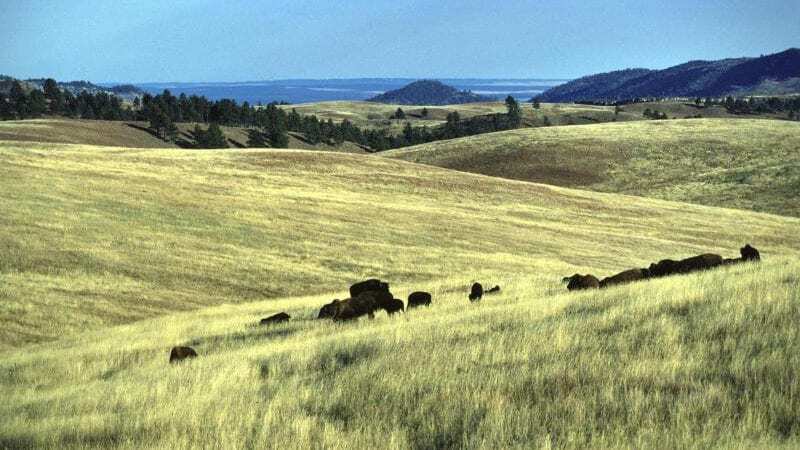 With hiking, camping and a herd of bison, Wind Cave National Park can be a hub for exploring the southern part of South Dakota’s Black Hills. A national park since 1903, it was discovered by brothers in 1881 when the wind of the cave blew off their hats. Due to the vastness of Wind Cave, it has its own air pressure system that’s always trying to equal the air pressure on the surface. With over 100 miles of passageways, portions of Wind Cave still remain uncharted; only five percent has been discovered. Wind Cave’s boxwork, popcorn and frostwork, all cave formations, are exceptional for all visitors and especially cave enthusiasts. Don’t forget about the park’s rolling prairies that beg to be discovered. With herds of bison, pronghorns and prairie dog towns, the park captivated my kids during our drive. Take Highway 87 as an alternative route to-or-from Custer, South Dakota, for a scenic drive. Wind Cave National Park offers three basic tours: Fairgrounds Tour, Natural Entrance Tour, and the Garden of Eden Tour. I’ve taken the Fairgrounds Tour and Natural Entrance Tour. The Fairgrounds Tour is the most strenuous tour. It lasts an hour and a half and includes 450 steps. This tour uses the elevator to enter and leave the cave. My kids, 13, 12 and 8, loved the tour; all ages are welcome as long as they can walk the entire .6-mile route. The Natural Entrance Tour is less strenuous but still includes 300 steps, mostly down, and lasts an hour and a quarter and covers a .6-mile route. I entered the cave through a man-made entrance next to the original and rode the elevator out. I enjoyed walking down into the cave as the first explorers did. It added to the feeling of adventure. The Garden of Eden Tour is the least strenuous and recommended for younger children and visitors with health or mobility concerns. This tour uses the elevator to enter and leave the cave. It includes 150 steps and covers a .3-mile route during the one-hour long tour. Tickets for the Fairgrounds and Natural Entrance tours are sold first-come, first-serve the day of the tour. Admission for adults 17 and older is $12, kids 6 to 16 is $6 and kids 5 and under are free. The Garden of Eden Tour admission for adults 17 and older is $10, kids 6 to 16 is $5 and kids 5 and under are free. Wind Cave offers 26 tours daily during the summer season. A Candlelight Tour and a Wild Cave Tour are available at Wind Cave National Park. Advance reservations are required for both tours. Wind Cave National Park is located 58 miles south of Rapid City, South Dakota, that has a regional airport with commercial flights. The park is 10 miles north of Hot Springs, South Dakota, along U.S. Highway 385 N.
Wind Cave Visitor Center is open every day except Thanksgiving Day, December 25 and January 1 from 8 a.m. to 4:30 p.m., 8 a.m. to 7 p.m. during the summer season. It’s free to enter and contains restrooms and a gift shop. All cave tours depart from the Wind Cave Visitor Center. Purchase tour tickets, grab maps, pick up Junior Ranger booklets and use the restrooms since none are located in the cave. 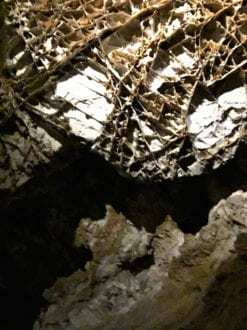 Local prospectors discovered Jewel Cave in 1900 after blasting dynamite to enlarge the entrance and discovered a cavern covered with calcite crystals. Proclaimed a national monument in 1908, the Civilian Conservation Corps (CCC) developed the area in the 1930s. Jewel Cave National Monument offers two basic tours, the Scenic Tour and the Discovery Tour. We didn’t make to the Jewel Cave Visitor Center in time to get tickets for the Scenic Tour and took the Discovery Tour instead. I arrived on a summer weekday at noon so plan on visiting the caves in the morning. The Scenic Tour is the most popular and it’s described as strenuous since visitors will have to navigate 732 steps up and down on metal scaffolding and it lasts an hour and a quarter. Since kids must navigate the stairs on their own, it’s advised that kids be at least six years old. Kids can’t not be carried during the Scenic Tour. The Discovery Tour is an introduction to Jewel Cave where visitors will have to climb 15 steps. The park ranger explains the types of calcite have give Jewel Cave its name and how the cave was formed. This tour lasts about 20 minutes and uses the elevator to enter and leave the cave. A Historic Lantern Tour and a Wild Cave Tour are available at Jewel Cave National Monument. Advance reservations are required for both tours. Jewel Cave National Monument is located 53 miles southwest of Rapid City, South Dakota, that has a regional airport with commercial flights. The park is 13 miles west of Custer, South Dakota along South Dakota Highway 16. Jewel Cave Visitor Center is open every day from 8:30 a.m. to 4:30 p.m., mid-March to the end of November and closed on Thanksgiving Day. It’s free to enter and contains restrooms and a gift shop. From December to March, Jewel Cave National Monument runs limited operations and tours. All cave tours depart from the Jewel Cave Visitor Center. Purchase tour tickets, grab maps, pick up Junior Ranger booklets and use the restrooms since none are located in the cave. Junior Ranger Badge booklets are available at Wind Cave National Park and Jewel Cave National Monument. It’s not required to take a cave tour to earn a Junior Ranger Badge but kids have to attend a ranger program. 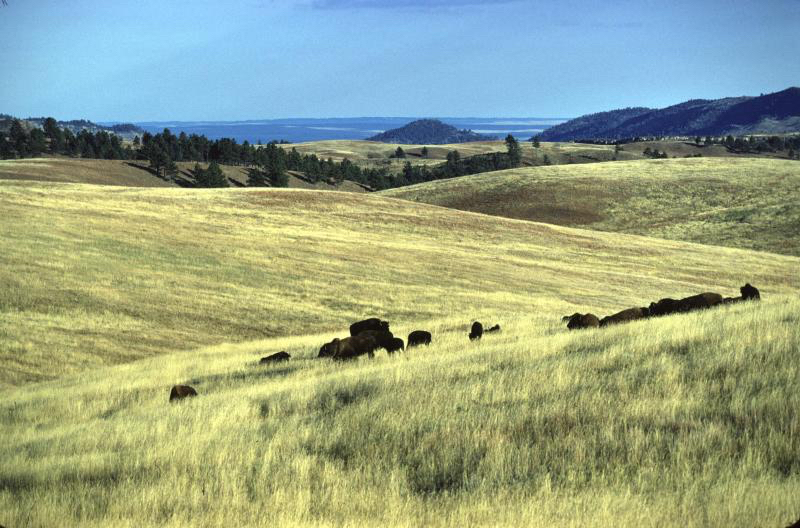 Wind Cave National Park has numerous hiking trails through the prairie and the ponderosa pine. Horse-back riding is permitted and permits can be picked up at the visitor center. Picnic tables are located .25-miles from the visitor center. Camping is available at Wind Cave National Park in the Elk Mountain Campground ($18/night). It features 75 sites with fire grills, water and restrooms with evening campfire programs during the summer. 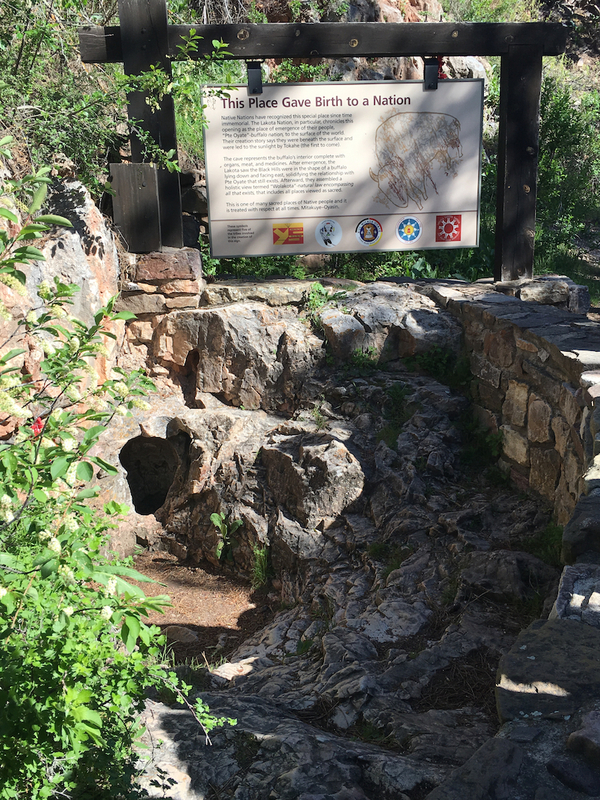 Jewel Cave National Monument has two self-guided hiking trails. Picnic tables are located near the parking lot. The Black Hills of South Dakota offers several National Park Service sites, like Badlands National Park and Mount Rushmore National Memorial. Don’t try to visit both caves on the same day in the summer. Tickets sell out for the day’s tours in the morning. Tickets are sold first-come, first-serve. Take a jacket for the cave tours, the average temperature in both caves is around 50F. Backpacks and purses are prohibited on cave tours, leave them in your car. 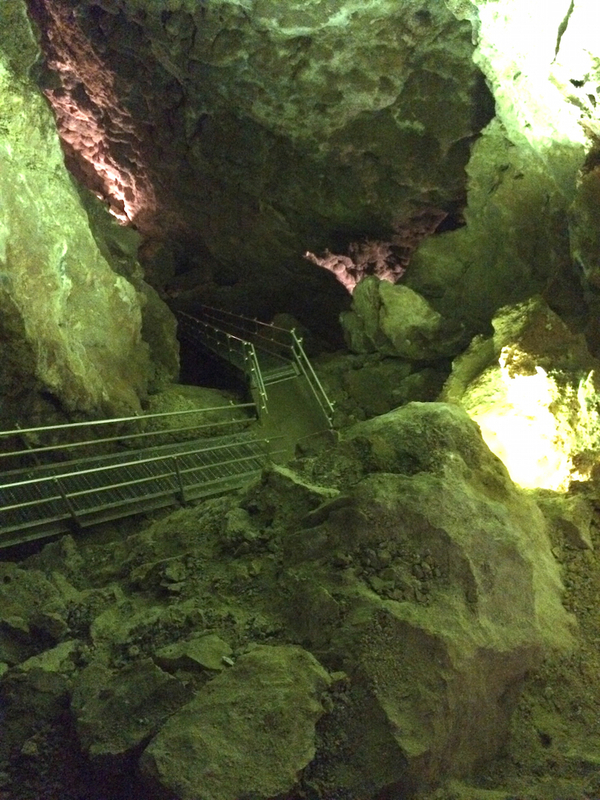 The Fairgrounds Tour at Wind Cave has 450 steps. The Scenic Tour at Jewel Cave has 723 steps on metal scaffolding, kids under 5 are discouraged. Strollers are prohibited in Wind Cave and Jewel Cave. Walkways are dimly-lit and can be slippery, wear appropriate shoes. Help prevent White-nose Syndrome from spreading, don’t wear clothes or shoes from other cave visits, even if washed. Have you taken your family on a cave tour?